The annual Vinaria international wine festival is to be held at the International Fair Plovdiv from February 21 to 25 2018. Currently, tastings are being held from February 16 to 18 ahead of a jury naming the winners from among more than 300 wines, rakiyas, brandies and spirits competing for the Golden Rhython prizes at the festival. The drinks are being evaluated by a jury with international and local members, all experienced tasters, the National Chamber of Vine and Wine said. 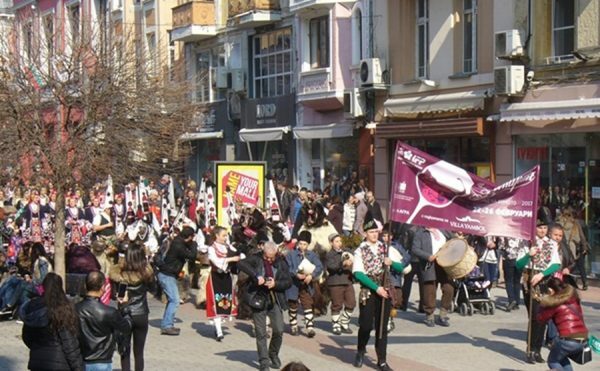 Another event in the run-up to Vinaria 2018 was a Dionysius procession through the streets of central Plovdiv on February 16, which featured a 100 litre barrel of a young merlot from a well-known Bulgarian wine cellar. Participants, many dressed in traditional folk costumes, took part in the customary horo (circular dance) at the culmination of the procession. Visitors to Vinaria will be able to compare the collections of more than 50 Bulgarian and foreign wineries. Numerous presentations and tastings will allow connoisseurs to experience the flavour and aroma of the best brands of wine and spirits. These will be on show in the City of Wine and Delicatessen along with a wide range of foods and gourmet specialties, presented by participants in the Futeh 2018 International Food Industry Exhibition and the Flavours from Italy Exhibition. In recent years, Vinaria has attracted an average 40 000 visitors a year from Bulgaria and abroad to the wine festival.